Home » Flowers » Bouquets » Happy Holidays! Exactly what you need for Holiday gift. 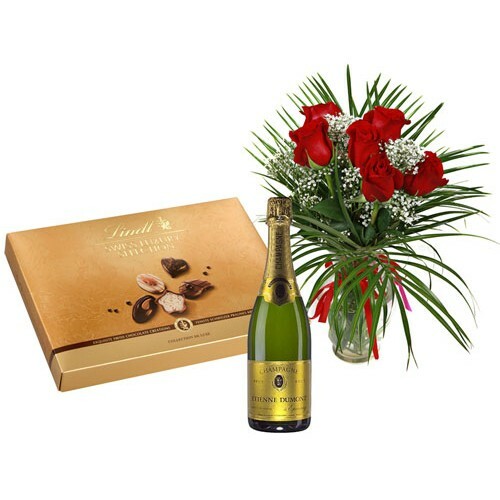 Bouquet of 5 (or 6) red roses in a glass vase, gourmet assorted chocolate box and a bottle of champagne for celebration.